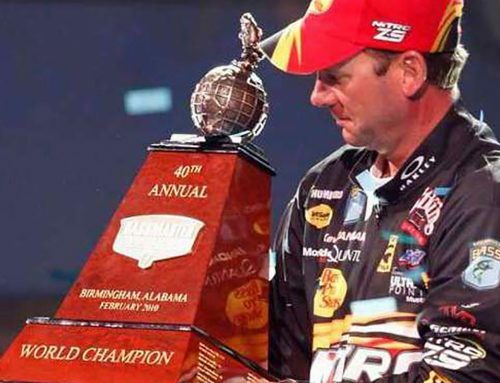 In last week’s blog “How to become a bass pro,” I outlined what you have to do to become a skilled competitor at the highest level. But there’s more to being a successful pro than being a good angler. You have to be a good businessman with a long-term plan; never get ahead of yourself and put your family or career in jeopardy by doing too much too quickly. 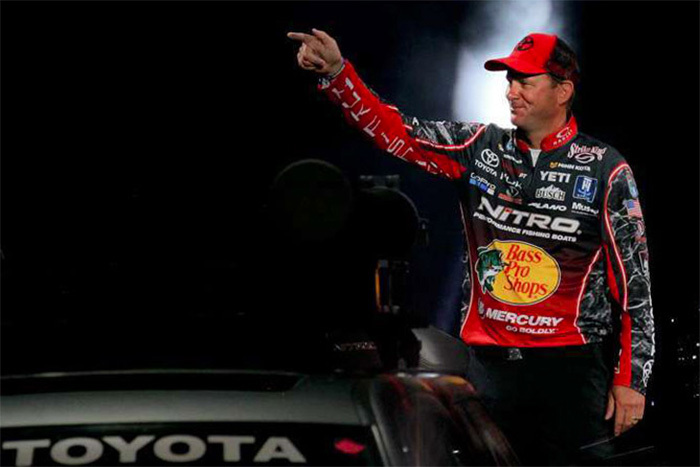 I’ve seen many great anglers who came on tour without an understanding of the business side. They didn’t survive because they couldn’t weather the financial ups-and-downs everyone faces early on. 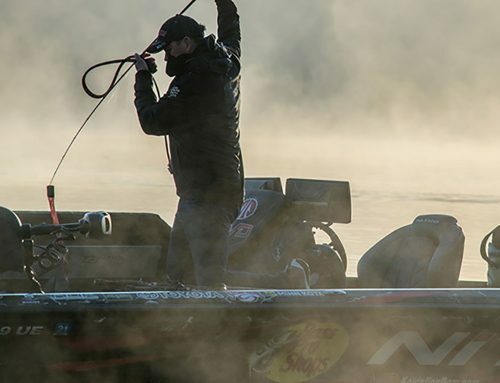 Here’s reality: Today’s top anglers couldn’t make it on winnings alone. 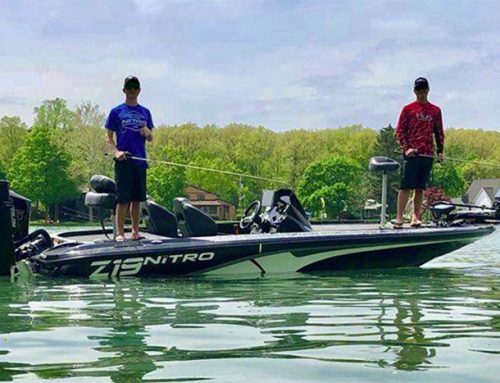 There’s never a guarantee you’re going to do well, even on lakes on which you have experience. So, a good sponsor base is critical but doesn’t happen overnight. You have to prove yourself worthy to gain solid financial backing and it begins by building good relations with your local and regional media. That’s what turns heads – an angler’s ability to communicate to the public through local newspaper, radio, television and public speaking appearances at sport shows and retailers keeps you and your name in front of the public. Document every article, broadcast, video or TV exposure along with your tournament history. Produce a body of work that shows you are committed to what you’re doing and that you’re out there building your brand. Approach a potential sponsor with a solid portfolio and a creative list of how you can show them a return from their investment. Learn a company’s business, promotional needs and illustrate how you can help them. Make yourself visible on social media outlets. It helps your sponsors and keeps you connected with your fans. A good educational background is vital, starting with the classes you take in high school. A college degree that includes a business, marketing and public speaking background is the best place to start. I wasn’t comfortable getting up in front of crowds, but speech and debate classes helped me overcome that. I also worked at my brother’s boat and tackle store selling boats, tackle and marine supplies. I learned how to sell, gained a deep understanding of how products are marketed and me meet key people within the industry. It’s equally important to dress well, keep in shape and conduct yourself professionally. People are watching and evaluating you even when you don’t know it! Approach a potential sponsor with a solid portfolio and a creative list of how you can show them a return from their investment. Learn a company’s business, promotional needs and illustrate how you can help them. Maybe it’s by creating brand awareness, showcasing products, or simply entertaining key clients on the water. For every $1,000 you get in sponsorship, a company has to see a return of 7 to 10 times that to break even. Companies aren’t in business to break even, so you keep that in mind when presenting a proposal. Also, think beyond the usual tackle companies that receive thousands of requests for sponsorships annually. Some solid sponsors that anglers often overlook are the non-endemic ones in their backyards. If you take on fishing-related sponsorships, only accept those with products you use and believe in. Know all of their features and benefits, and when you have success using them, emphasize how and why they worked for you. You will come across believable and build your credibility with the public and your sponsors, making you more valuable to them in the long run. This path is not easy, but it’s vital and can be expensive. If you’re looking toward a pro career, establish a five-year plan that includes all of the elements I’ve outlined here and in last week’s blog. You do that, and you can become one of my competitors on the Bassmaster Elite Series.